No matter where you work, office politics are forever with you. When people come together there are inevitable power struggles between those who perceive they know the best way to best run an office, project, or other work-related entity. And while you don’t necessarily have to participate in those politics in order to get ahead, it is necessary to understand the nature of office politics so that you may more easily navigate through them. Three of the most common political problems arising in the workplace include the rumor mill (i.e. office gossip), favoritism, and personal ax-grinding. The office rumor mill can be both a place of blessing and a curse. On the one hand, the proverbial water cooler can be a convenient place to assimilate the unwritten rules of an organization and to get a taste of the political atmosphere among employees. In fact, it’s usually a wise move to stay in the loop, but the important thing is to remain neutral. Don’t spread unsubstantiated rumors about the organization or individual employees. Once gossip turns personal, walk away, or at least don’t participate. Like office politics in general, favoritism is generally present in some form. Even if unintended, some managers make decisions based on personal perceptions of an employee’s personality, physical characteristics, philosophy, or other non-performance related aspects. While this behavior is not uncommon, it is also important not to immediately assume the stance of victim. 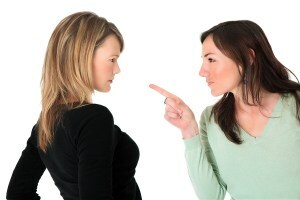 Approach the perceived offending manager and alert him or her to your desire to take on additional responsibility. If you are being overlooked, it may simply be because your manager is waiting for those with initiative to step up and ask. Working alongside so-called “toxic” co-workers is a virtually inevitable eventuality at some point during a career. These people turn the professional into the personal and purposely seek to undermine your efforts out of spite, jealousy, or inexplicable dislike. The most straightforward manner to deal with this problem is to approach the person and directly ask about the offending actions. Don’t be necessarily accusatory but list the behaviors as matters of fact and avoid becoming emotional. Let him or her understand how you perceive such behavior and how it affects your ability to work. Allow the person to explain his or her side of the story. This tact not only opens up the possibility for better understanding, but also lets the problem worker know that you are paying attention and won’t simply sit and take the abuse. If the direct approach is undesirable, you can seek to document her behavior, citing real events that support your claims of misbehavior. Be sure to explain how his or her actions are affecting your performance. Once you’ve completed a factual and comprehensive list, bring it to the attention of your manager in a professional manner. Don’t use the opportunity to complain but to inform your boss of the situation. Though situations and environments vary greatly, no matter how you choose to address problems of office politics, you can avoid being pulled into the mire by remaining as objective and diplomatic as possible.